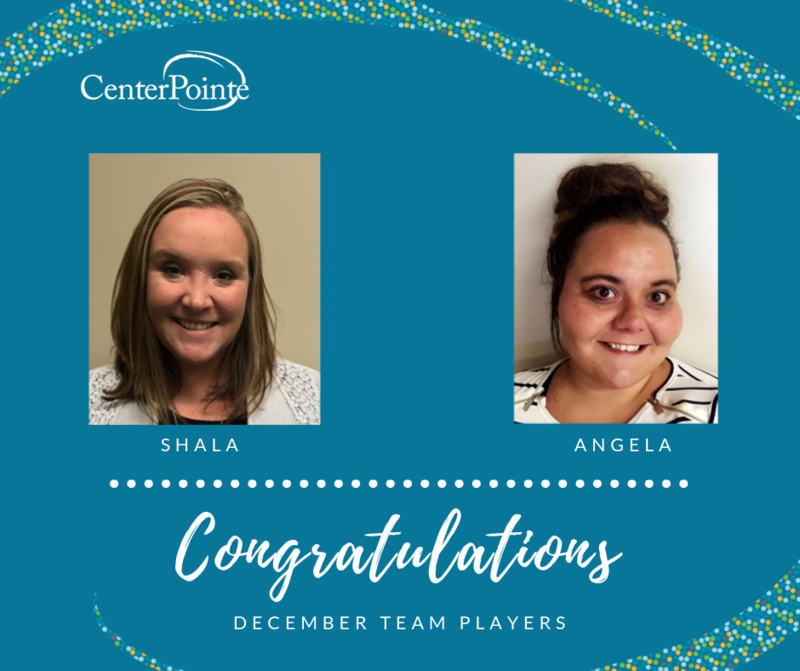 Congratulations to Shala and Angela for being recognized as Team Players of the Month! I would like to nominate Shala for Team Player of The Month. Since she has started at E street her efforts to make Outpatient services run smoother has been a success. Her knowledge, great ideas, caring attitude, and ambition have been a blessing. She is an asset to our team and always has a smile on her face. I look up to Shala and appreciate all her positive efforts to come in and help make E street run more smoothly! Angela has made a significant impact on how nursing interacts with our IIS and the staff. She has only been here for six months, but her dedication and work ethic make it seem like she has been around for years. From the beginning, Angela stepped up when she was needed and took on extra duties to ensure that continuity of care was maintained. When it came time for staff changes, Angela took on the role as the COR Program Nurse and streamlined the various duties to make it more efficient. She continues to help with the STR Program as there is no permanent nurse in that position currently. I am confident when I am out of the office that she will keep things running smoothly and I am grateful to have her as part of the team. Angela brings a wealth of knowledge to our organization, as well as exhibiting what it means to be a team player. I believe she deserves to be Team Player of the Month.